Use a 2-liter plastic bottle to make a sub-irrigated planter – a great hands-on STEM activity for students to design and build! Let us know if you need lesson plans or supplies to incorporate this activity in your classroom. In this hands-on activity, water beads of different colors represent the things a plant needs to grow and thrive. Students put one of each color in a baggie with a seed and then watch is sprout! Seed. 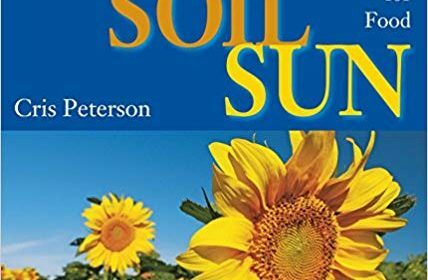 Soil. Sun. With these simple ingredients, nature creates our food. Author Chris Peterson describes the process in accurate detail with photos to illustrate. Plus Check out this video read along! STEM ON THE FARM – Apply Today! Explore real-world applications of science, technology, engineering & math on the farm at the 2019 STEM on the Farm Experiences! Designed for teachers, community educators and STEM coordinators to discover how learning can intersect with agriculture. The program is FREE + up to $650 in travel expenses reimbursed. Check out the new Illinois History Ag Mag! Ag Mags are nonfiction reading resources full of factual information and activities in a colorful newspaper style. The new Illinois history edition takes a look at the ways agriculture weaves in to the history of the prairie state. Order a FREE set for your classroom today! (30 copies per pack).